Room 12 (2.5m x 1.3m) is a store room situated on the second floor. 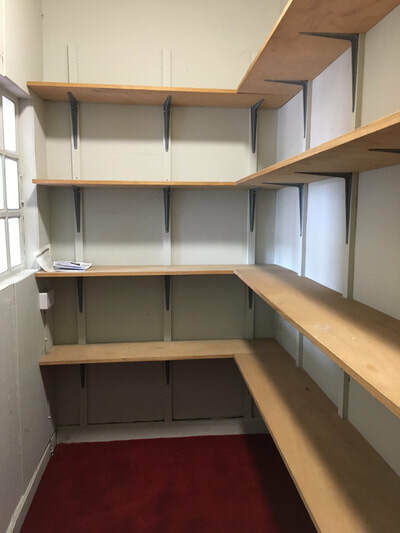 It is fully shelved out and will make a perfect filing room for any tenant taking a room at Highgate House. The room is available for £500 per annum and has been valued separately for Business Rates at £225. Small Business Rates Relief may be available on this room, please check with SLDC (See 'Links' page). There are NO data points in this room. There is a double electrical socket available.